The answer is disturbingly simple. It’s all down to harnessing our emotions and sheer repetition. That’s it. Of course there are lots of other bells and whistles you can add, but these two simple factors are what drive every successful advertising campaign. Whether we like it or not, we’re driven by our feelings. Drawn to things that evoke positive feelings. That we’re assured will make us feel good or our lives complete. To see this in action, just look at the adverts for the latest aspirational gizmo – and there will always be one. However negative feelings can also be used. Highlighting the things that make us feel “bad” and offering a solution we’re promised will make us feel better. Again, you only need to look at any women’s – or increasingly men’s – magazine to see this in action. The plethora of adverts focusing on poor body image. Being unhealthy, overweight, “ugly”. And then it’s easy. Simply repeat the advert – the desired message – over and over again. Ideally in lots of different ways. On the internet, TV, radio or billboards. In papers, magazines or fliers. Gradually it permeates the target audience’s mind and “bingo” a new desire is born. You may be surprised just how quickly this desire can be fostered. As few as 10 or 12 repeats of an advert for a particular product – in different places or formats – are needed for a desire to be created. And who hasn’t noticed the way you’ll see adverts for the same product everywhere for a short period of time before it disappears and the next one arrives. So why are we focussing on the power of advertising this week? 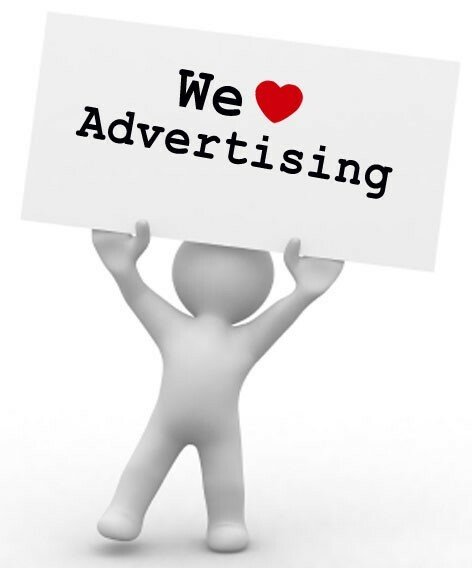 Well, even if you’ve noticed the power of EXTERNAL advertising, have you ever thought about the INTERNAL advertising you’re running? Every waking minute of every day. 365 days a year. All those things you say – or think – about yourself. And, sadly, how most of these adverts evoke negative feelings rather than positive ones. So does this mean that we’re going to tell you to “think and talk positive” and everything will be ok? Well, yes and no. Changing the adverts you’re running to more positive ones is definitely heading in the right direction. However, UNLESS THEY ARE LINKED TO A POSITIVE FEELING – in other words make you feel good – they won’t help you in the slightest. And, most likely, completely demoralise you in the process so you give up. The reason for this takes us back to what was said earlier. That we’re driven by our feelings. It’s our feelings NOT the words that accompany them that have the power. And there’s an easy way to show this in action. Simply think through how you spell the word “dog.” Even better, spell it out loud. “D” “O” “G”. Now think – or say – the whole word out loud. What you’ll notice is that spelling the word doesn’t invoke any feeling. The individual letters don’t mean anything to you or invoke any feelings. And if there aren’t any feelings, then you don’t have any thoughts – positive or negative – about it. But once you think – or speak – the word, feelings appear. Perhaps you love dogs, so positive feelings are linked to this word. Alternatively if you hate dogs, then negative feelings will quickly become apparent. Repeat this exercise with any other word you choose and you’ll notice how each word is linked to a particular feeling. Whether positive or negative. More often than not, pictures of whatever it is will pop into your mind too as you say – or think – the word. This is the reason why feelings are always more powerful than the words they’re attached to. And feelings accompanied by pictures are more powerful still. Which is how visualisation works, but that’s a topic for another day. Rather than saying you’re always happy – in other words that you’re happy NOW – you’re saying that you intend to be happy IN THE FUTURE. This moves you away from focussing on being unhappy now – which is a huge step in the right direction – to a more neutral one, with your sight firmly on being happy in the future. As we’ve said before, the key to making any change is to start small. Start with one piece of negative advertising. Replace it with a piece of positive advertising, associated to a positive feeling. Every time the negative advertising pops into your head – or out of your mouth (!) – replace it with the positive one. And then just repeat it until it takes the place of the negative advert. You can also use it independently during the day, to help you feel more positive generally. And, once it’s taken root, you can move on to the next one.